In 2012, iK9 teamed up with Auburn University’s Research and Technology Foundation to blend the university’s state-of-the-art canine detection research program with iK9’s extensive experience in training and educating handlers. The partnership instantly put iK9 on the map as a premier, comprehensive provider of canine detection solutions for defense organizations, law enforcement, and private security throughout the country. 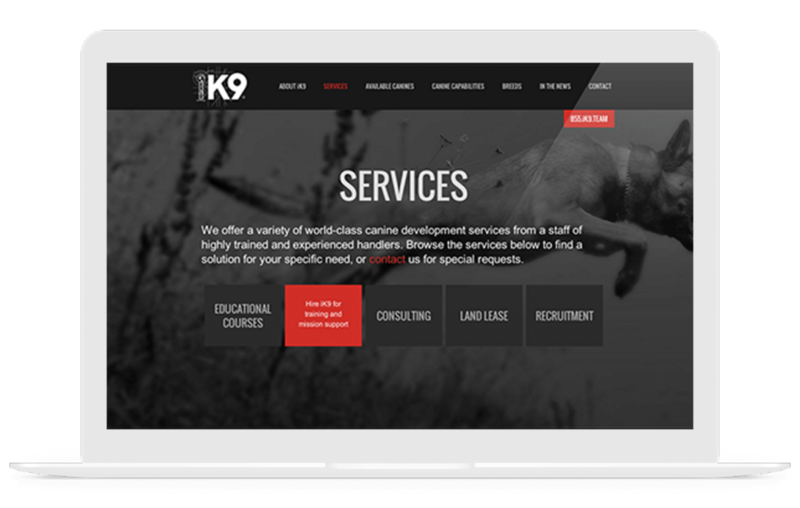 The iK9 team approached Gravitate to build a website that not only reflects iK9’s industry dominance and the confidence it has in its training and research but also conveys the critical role canine detection plays in today’s society. Nobody makes a bold statement with pastel colors. 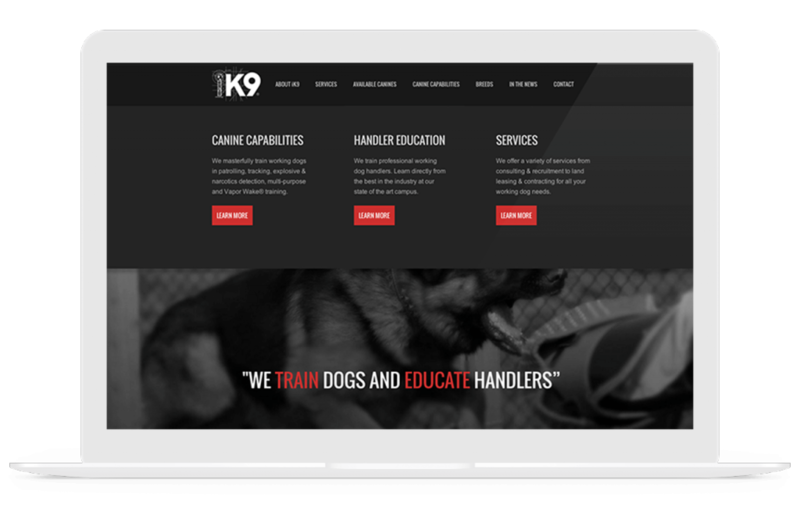 With the largest training facility, leading-edge research and training techniques, and a rapidly expanding client list that includes Amtrak and the NYC Police Department, iK9 needed its web presence to exude its dominance in all facets of canine detection. Our moodboards below (not specific design elements but rather visual indicators of the site’s tone and feel) helped establish design direction, while our content strategists built out wireframes and streamlined the UI/UX to quickly and intuitively guide users to the most pertinent page. 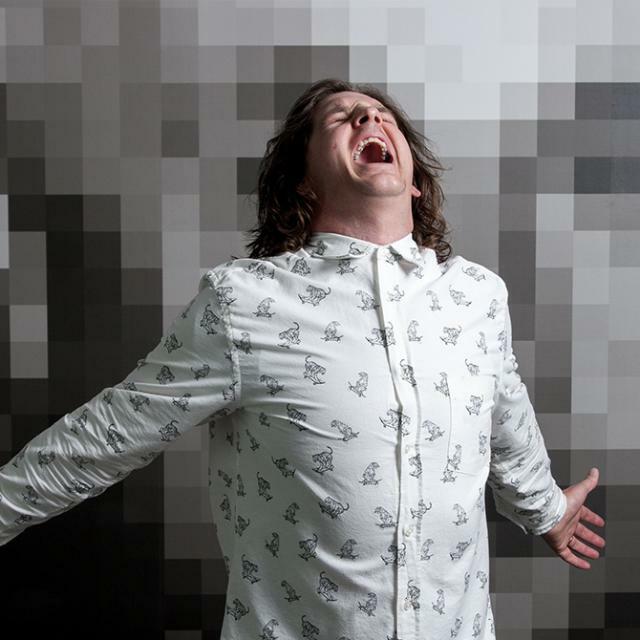 Prior to the site’s launch, the hype was building every day. To feed the publicity and provide eager supporters a sneak peek at the new direction for the brand, we created a splash page—complete with a countdown timer and a form to sign up for the newsletter. Both the client and our team were surprised at not only the amount of buzz our design preview generated but also the sheer amount of traffic this simple splash page received. Often there is a tendency for clients to try to force too much information onto the homepage—effectively diminishing user focus and the impact of the messaging. This was not the case with iK9 team, as they let us run with our striking design, minimal copy, and subtle parallax scrolling. 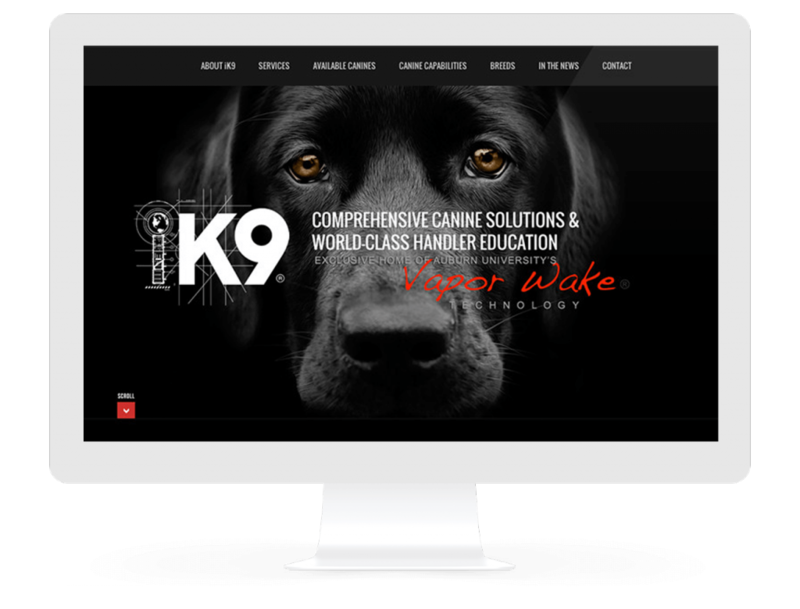 The result is a bold, evocative homepage that immediately communicates iK9’s industry authority while emphasizing the exclusive commercial partnership with Auburn University’s Vapor Wake Technology, which enhances explosive detection canine teams with additional capabilities and training to detect hand-carried and body-worn explosives. 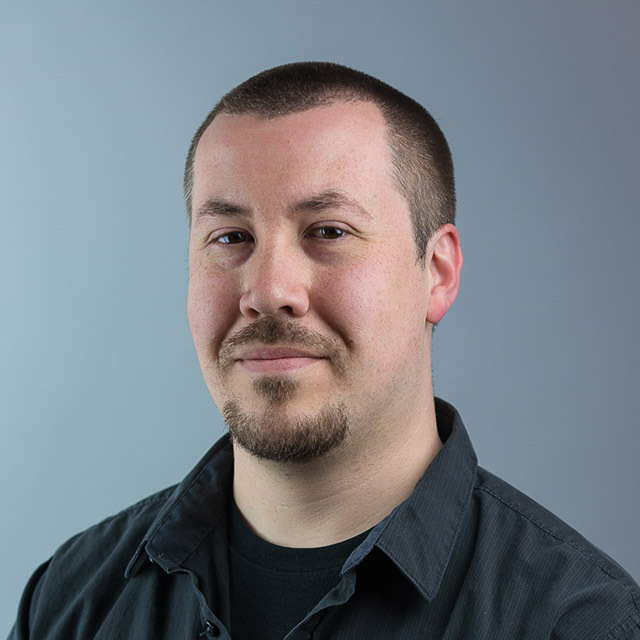 As mobile browsing continues to eclipse desktop surfing, it becomes increasingly apparent that building specific apps for the major mobile platforms is an arduous and expensive undertaking. Why not build a website once and have it work seamlessly across thousands of different screen sizes—from a smartphone to a 27” monitor? Because many of iK9’s leads are met on the road at trade shows, it was imperative to scale the site down to mobile devices without sacrificing design or functionality—allowing easy reading and navigation without the drudgery of resizing, panning, and constantly scrolling. We built a robust canine database that is integrated throughout the site. 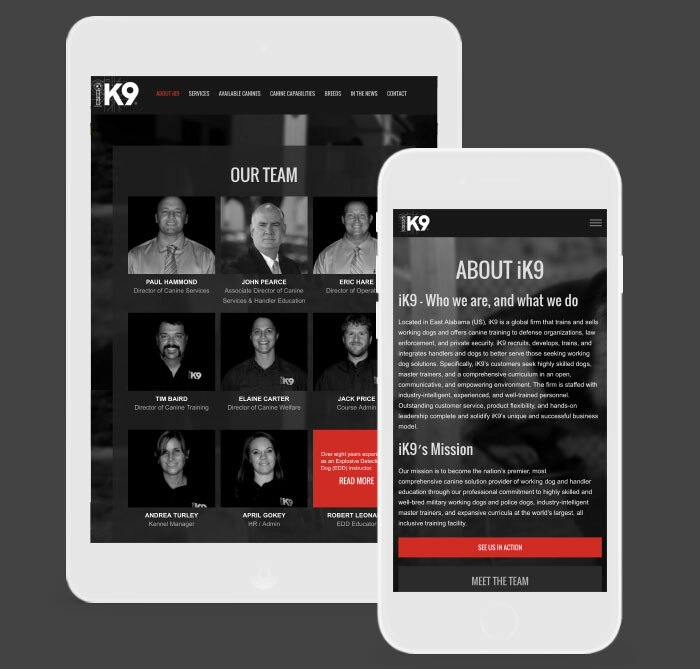 It allows users to view and inquire about dogs in the iK9 program and to quickly filter in real time by age, breed, and a variety of detection specialties including explosive detection, narcotics detection, dual purpose, patrol, Vapor Wake, and tracking. Users are able to view relevant dogs based on the selections made within the “Capabilities” section as well as featured dogs throughout the site. It was extremely rewarding to work with an emerging company that gives law enforcement and military an added edge in explosive and narcotics detection. We took advantage of the long leash (er, flexibility) iK9 provided and explored several bold design directions and functionality additions—in the end exceeding the client’s requests and propelling iK9 into industry dominance.